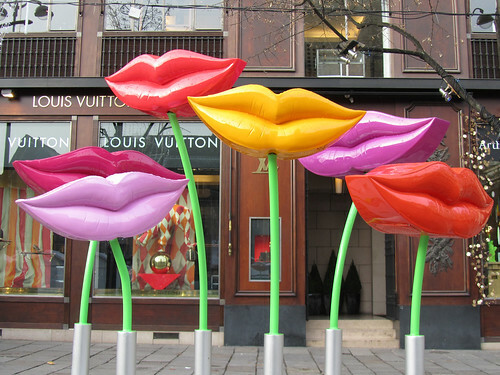 There are some very eye-catching gigantic lips in Saint-Germain-des-Prés at the moment. An art installation, it seems like it’s here to stay for a month. The way this installation works is through public interaction – you’re supposed to talk into the microphone in front of the lips and it’ll be reinterpreted by these lippy “flowers”.